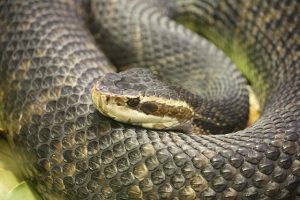 There are 46 species of native snakes in Florida, six are venomous, and two of the six live only in north Florida and the Panhandle. People tend to have visceral reactions to snakes that usually involves a degree of fear and loathing. 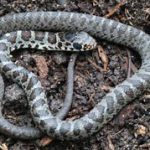 The knee-jerk reaction people often have is to try to attack and kill any snake they see in their yard, assuming that every one of them is threatening. 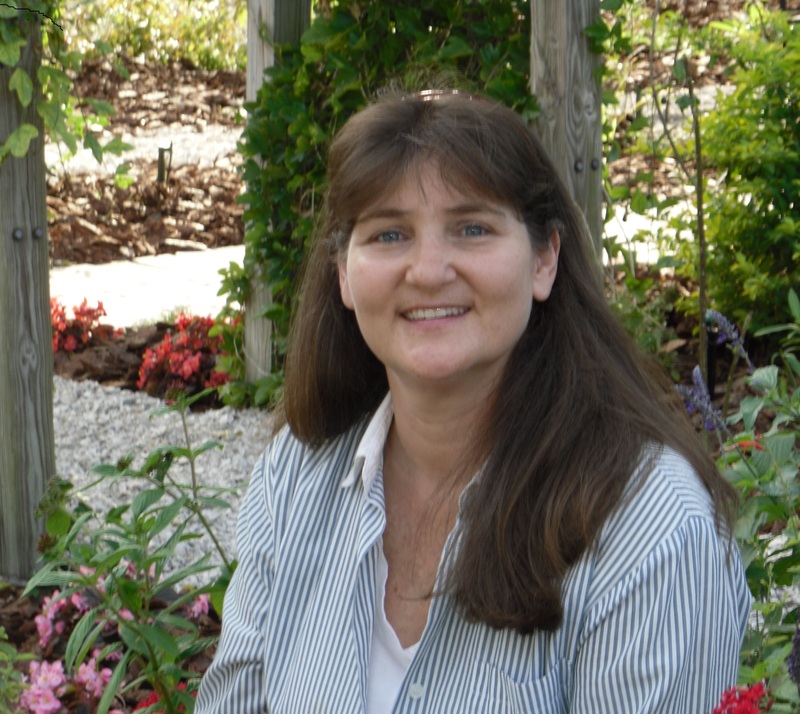 The truth is, our native, non-venomous snakes are extremely helpful in our landscapes. They keep nuisance animals such as rats and small invasive, naturalized species such as the Cuban brown anole under some control. 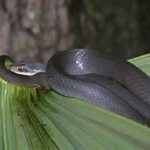 Common non-venomous snakes you’ll see are the southern black racer, corn snake (aka red rat), yellow or eastern rat snake and the gray rat snake. 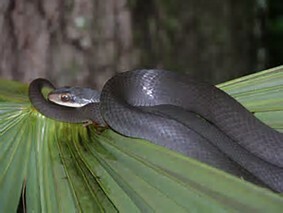 Much less common non-venomous snakes are the Florida kingsnake and the federally threatened large eastern indigo. 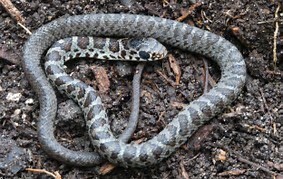 The Florida pine snake is another species of special concern; it eats native pocket gophers and depends on pocket gopher burrows for its survival. 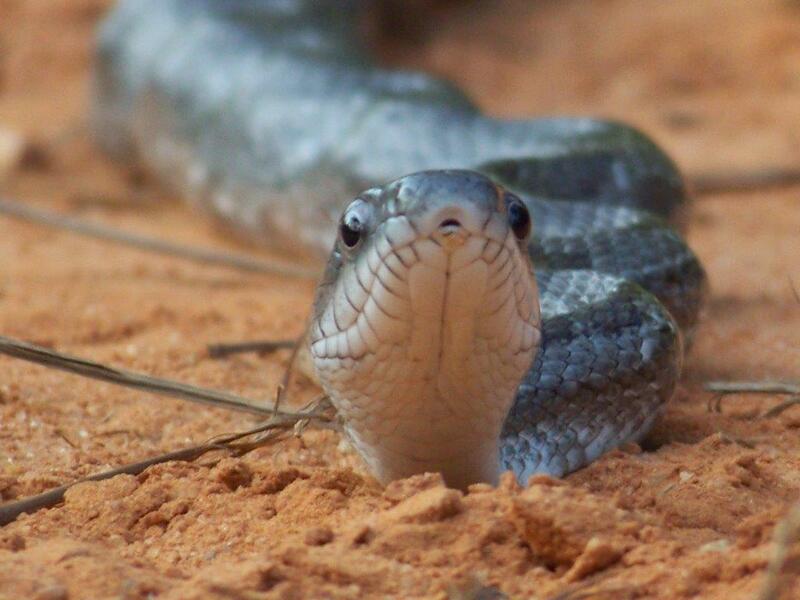 All of these snakes are losing habitat to land development. All venomous Florida snakes except for the coral snake are pit vipers which have a characteristic heat-sensing pit on the side of their faces, elliptical pupils, large arrow-shaped heads, well-defined necks and rather thick bodies.